Performance/Installation: 100 lines composed from filed hate crimes, white vinyl letters, pristine white gallery wall, stain, rags, 4 bowls, and 4 live bodies enacting memorized text…exposed over time. Locating Us: The gallery is huge so when you walk through the main doors – head to the far northeast corner of the gallery to find our little section. Again, performances will begin at the half-hour mark so get there on time. Otherance utilizes narrative-based text as materiality for both live performance and a fixed installation. Otherance is one component of The 1700% Project a multi-faceted approach to the development of audience-specific and process-specific works based on the iteration of an original poem entitled 1700%. The prose poem is a cento, 100 lines of found writings, composed from actual reported hate and bias crimes experienced by Arabs, Muslims and those perceived to be “Arab” or “Muslim” since the events of September 11, 2001. The text is an unapologetic response to injustices against Muslims while simultaneously acknowledging the resonance of historical persecution. In this performance-installation, the text is exhibited as white vinyl letters against a white gallery wall. This “white on white” effect conveys the invisibility of these reported hate crimes and the violence of racial profiling. 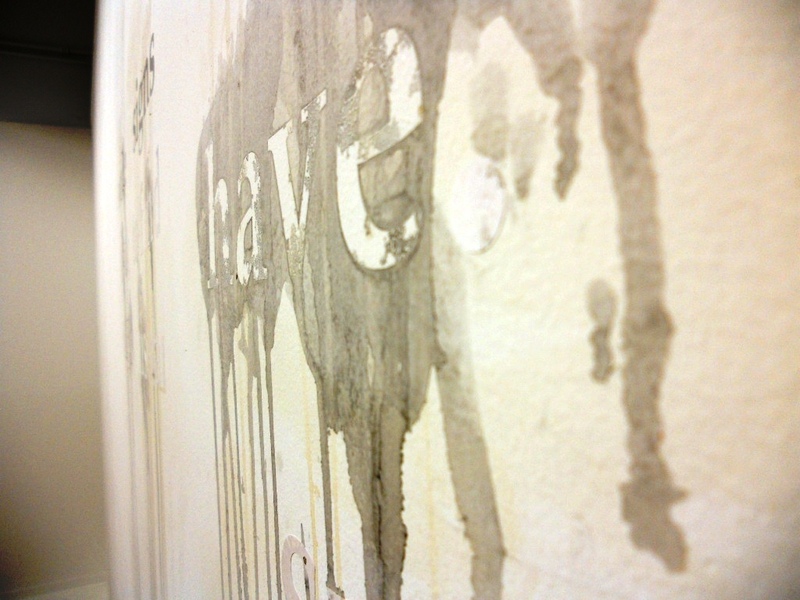 Activated through live performance, the text will be made more visible through the act of washing, staining and stenciling. The performance of the text confronts issues of visibility/invisibility in relationship to the body, community, and historical memory. My work continues to investigate the residual stain of performance and how the live body completes the experience for both audience and performer. Performing narratives is an act of social storytelling that contributes to collective healing. For me, performance and storytelling become ways of bridging the interior and exterior space of self as well as initiate critical dialogues between communities and institutions.